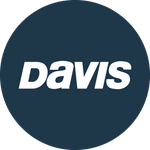 Davis Instruments Support, FAQs and Troubleshooting - How many Rocker Stoppers do I need on each side of the boat to stabilize it? All Categories ​>​ FAQ ​>​ Marine ​>​ How many Rocker Stoppers do I need on each side of the boat to stabilize it? Boats up to 26 feet need three Rocker Stoppers on each side. Boats 27 to 36 feet require four on each side. Use five Rocker Stoppers for boats 37 to 42 feet and six on each side for boats 43 to 50 feet.